So, we turn to new CDM contributor Oliver Torr – just the kind of avowed Strymon fan you know will go crazy over this – to tell us exactly what to look forward to. -Ed. 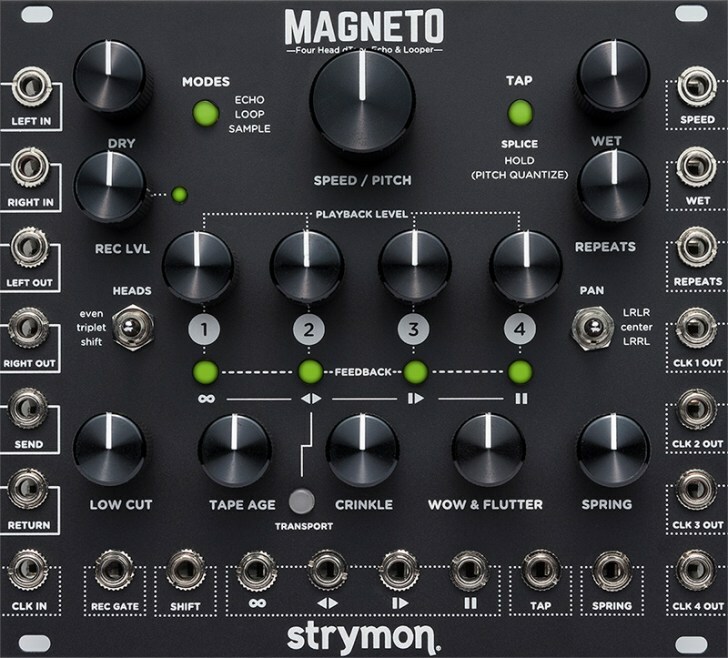 Let’s welcome Strymon into the Eurorack modular world. At the Winter NAMM two years ago, we got a glimpse of Strymon’s Eurorack delay unit – at the time a concept unit that at the time was named Generalissimo. Now, a real product is finally here – the Magneto. The Magneto is a four-head digital tape echo in Eurorack format. The module is loaded with the dTape delay algorithm, the same one used in their stompboxes El Capistan and Timeline. Having used these two pedals, I can only add to the praise they’ve been receiving. That sound… pure LUSH. Notice how play-ability is high on the priority list… More of these please! Ed. : For something totally different, I’m still looking forward to Bastl’s tape delay Thyme. But that’s just a demonstration of how different two delays can be: the Strymon makes sense once you get creative with patching, whereas the Thyme is more about grungy digital sound and a crazy workflow that’s set up in advance. Let’s hope we get our hands on both! Oliver: And also looking forward to the new Verbos Electronics multi-delay!